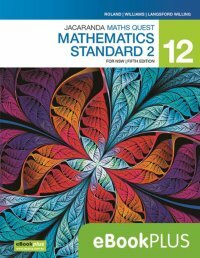 This digital-only title has been rewritten to provide 100% coverage of the new Mathematics Standard Stage 6 Syllabus. 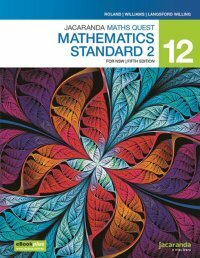 Designed to help teachers unpack the Syllabus and help students at the point of learning, so every student can experience success in the classroom, at home and thus ultimately in the exam. eBookPLUS provides students with opportunities to extend their knowledge and skills by engaging with digital resources including videos and interactivities.